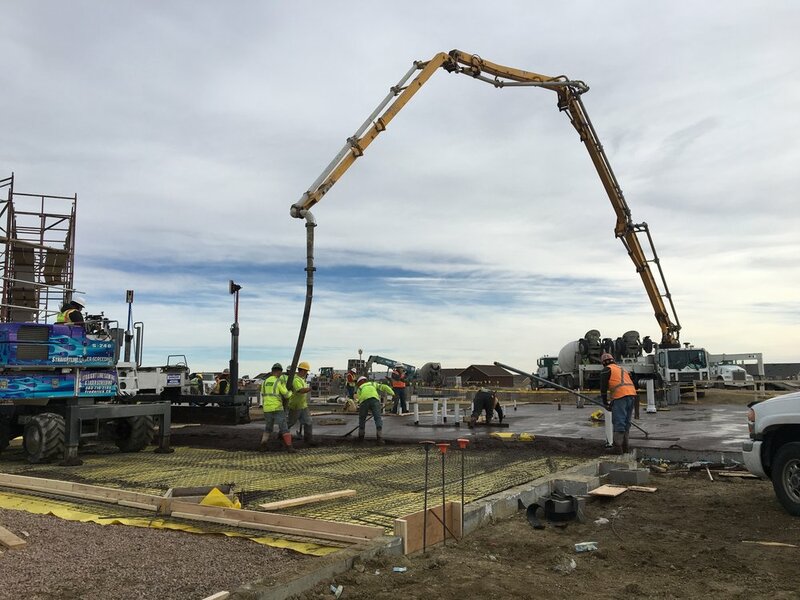 As Falcon School District 49 continues to be one of the state's fastest growing school districts, there was no time to spare in planning the expansion of their facilities and the future of their community. 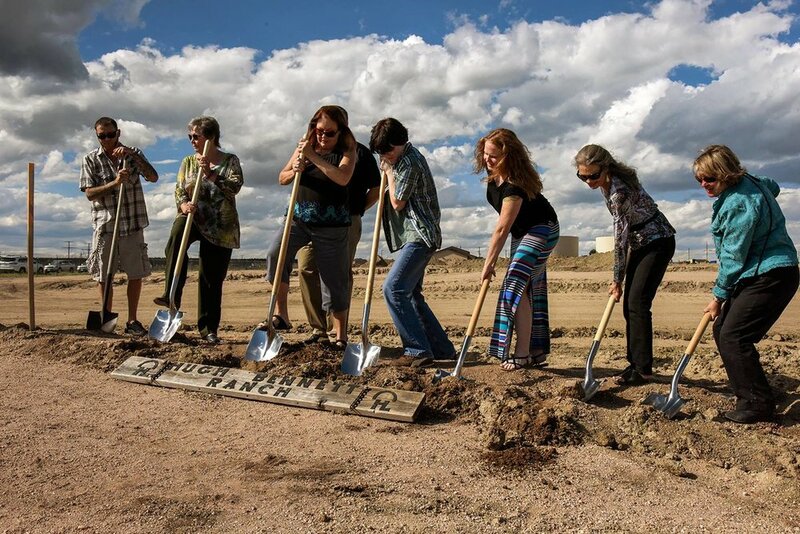 With hundreds of new homes being built and new families moving into the district, it was time to face this growth head-on with the addition of a new elementary school. Along with other projects, this school is one of the included items in Falcon's "Building Our Future Community" campaign. This initiative was brought to life through the 3B mill levy override passed during the November 2016 election. 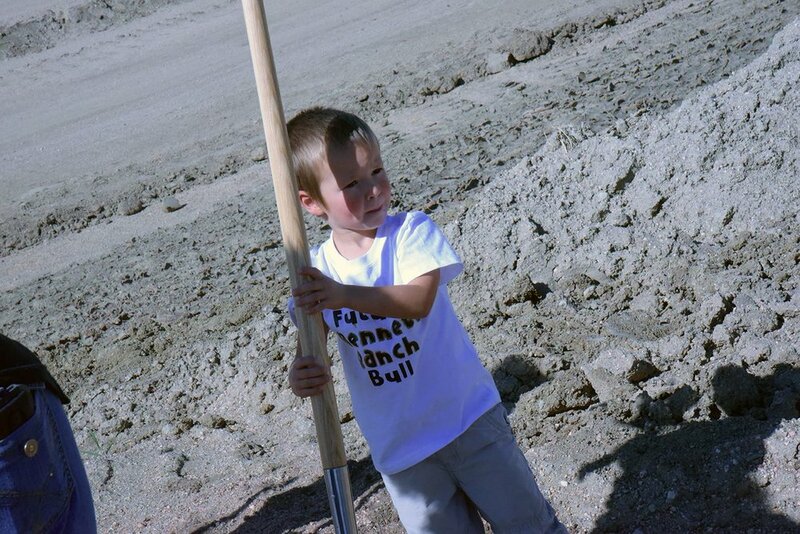 With a nearly two-to-one passing ratio, the community truly stepped up, recognized the need for expansion and brought a whole new energy to the common phrase of grabbing the bull by the horns. Located North of the current Falcon Middle School, the empty lot below the water towers will be transformed into a brand new 63,800SF elementary school. 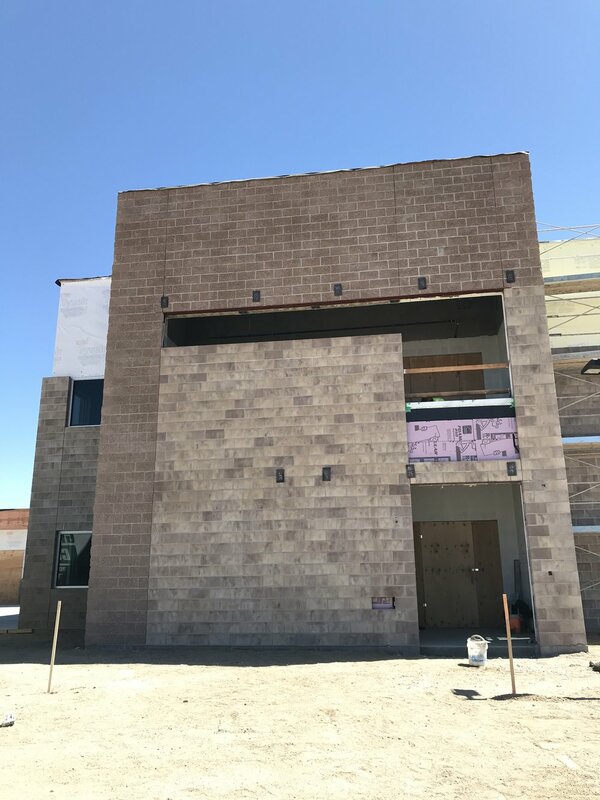 Recently named Bennett Ranch Elementary, the new school will feature a centralized student commons with a performance stage, various flex-spaces including one for multi-media and learning exploration, academic pods organized by grade levels, an elementary-size gym, extra-curricular spaces and all new outdoor play areas. The district wanted a design that facilitated not only 21st century learning but a platform to explore 22nd century learning models. 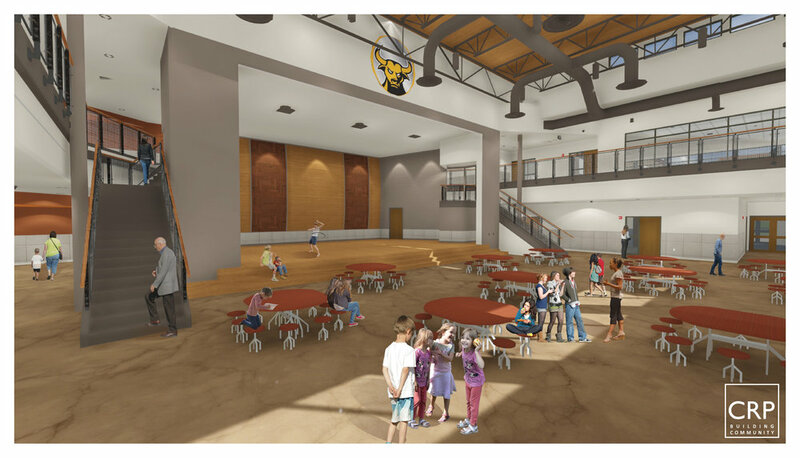 The materials and interiors scheme will reflect the school colors (gold and black) while integrating the color aesthetic of the Western plains, paying homage to the schools surrounding landscape. Wood, earth tones, local cultured block and vibrant pops of Colorado color will make for an inviting, engaging environment for learning. The school's name, approved by the school board in early August, was derived from the famous Bennett Ranches nearby in Peyton, CO. The founding brothers, Hugh and Ralph, were active rodeo champions and took great pride in upholding the pristine reputation of their cattle ranches. Hugh was even recognized in 2008 as one of the top 15 cowboys to shape Western culture. In honor of the Bennett legacy, the school's mascot has been chosen as a bull. 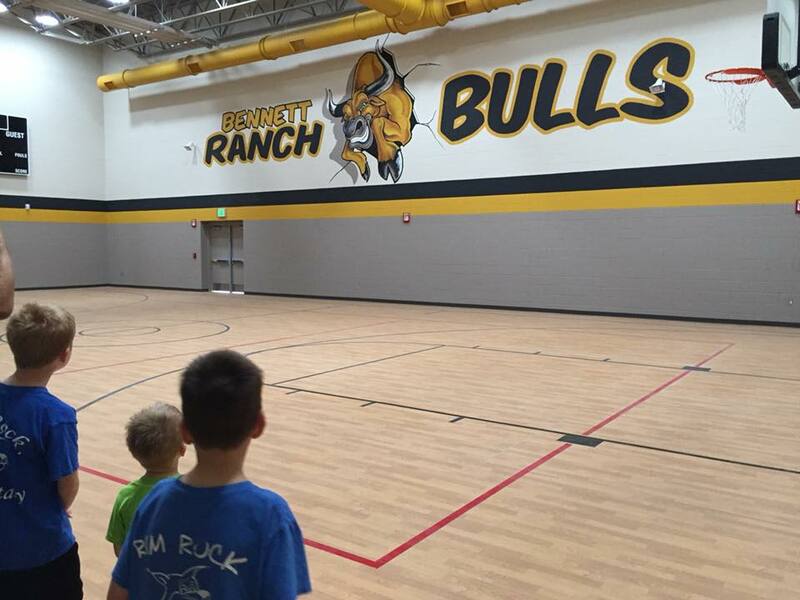 And while the district is still working through iterations of what the final mascot will look like, we can still say, 'Go Bennett Ranch Bulls!' in the meantime. 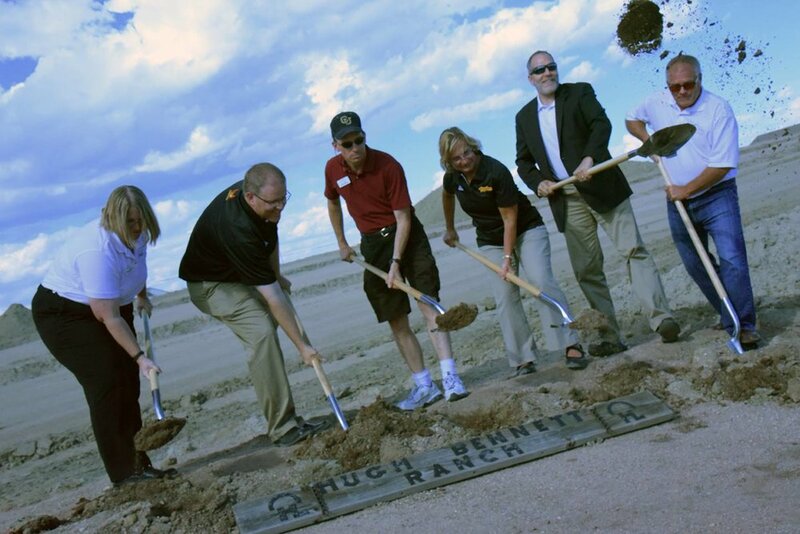 Aspects of the family history and various memorabilia will also be featured in the school's design. The school is scheduled to open for the 2018-2019 school year. The design phase was completed a month ahead of schedule with the preliminary costs coming in under-budget. This will allow the district to consider adding addition scope to enhance the overall outcome of the new facility. 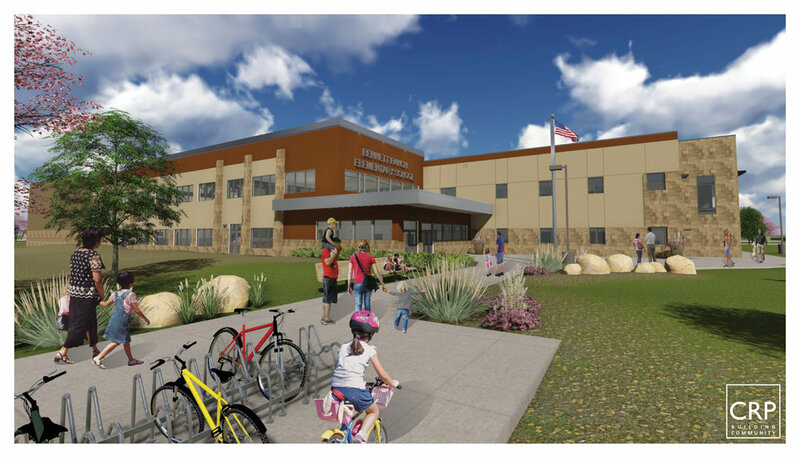 The site is also being master-planned for a future middle school addition which would eventually make Bennett Ranch a PreK-8th building. 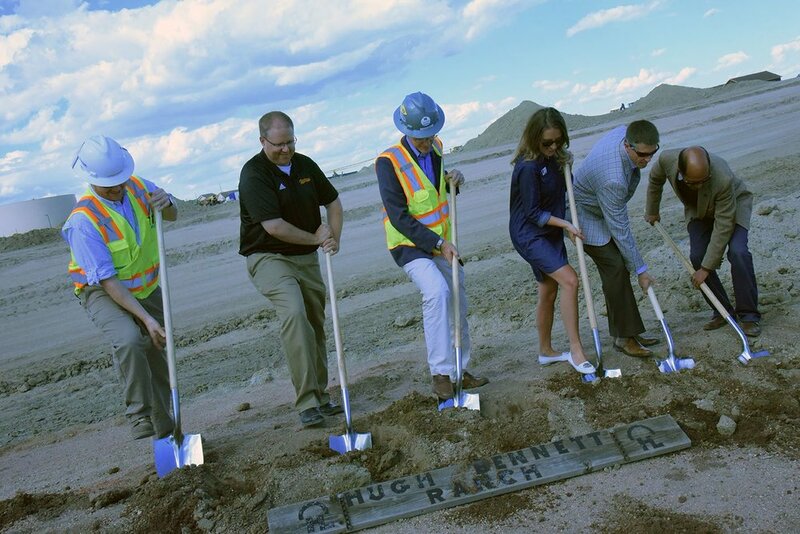 We celebrated the groundbreaking ceremony on August 24th, 2017 alongside our project contractor, GE Johnson. 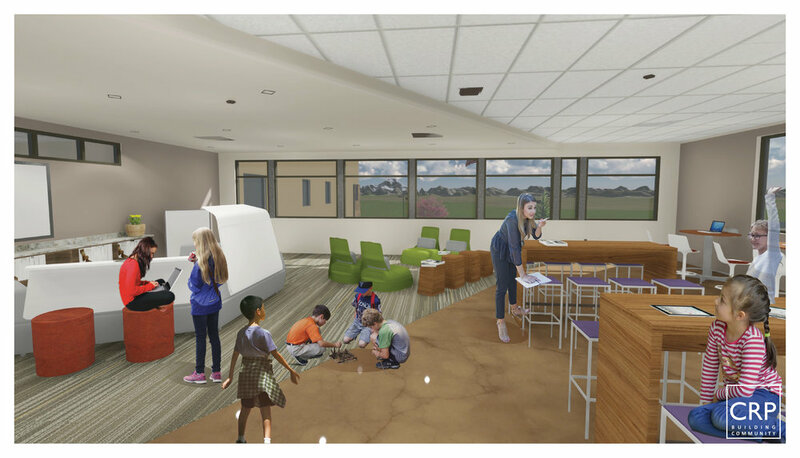 Below are some architectural renderings of the new elementary, as well as photos from the event. Newer PostThey used WHAT? On top of WHERE?